with 666 hiding among the zeros. Please also note the ominous presence of 13 zeros. Please don't stare at the number too long. Look away for a few seconds, and take a deep breath. 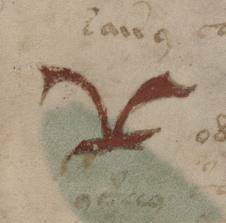 first seen embedded in the Voynich Manuscript. In demonology, Belphegor (or Beelphegor) is a demon. and helps people make discoveries. 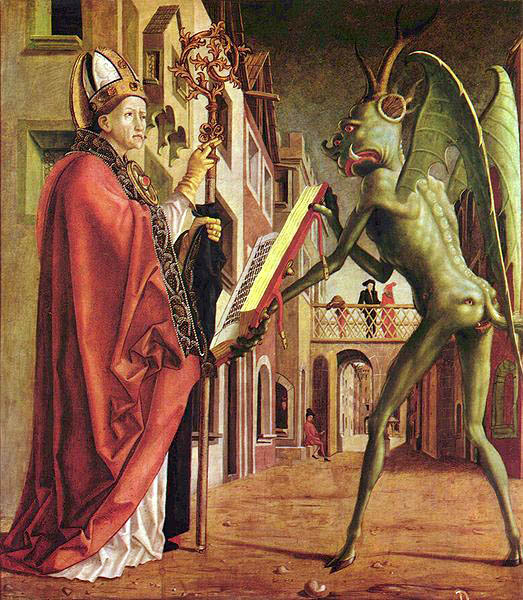 Belphegor is one of the "Principalities of the Prime." In hell, Belphegor is the demon of inventiveness. 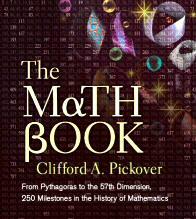 ← Interested in more mathematical weirdness through history? Click here to find out why the mathematicians know that 2012 is indeed the end of the world. See El primo de Belfegor. The Prime of Belphegor can be written concisely using the notation 1 0(13) 666 0(13) 1, where the number in parentheses denotes the number of consecutive zeros. Harvey Dubner determined that the first 7 numbers of this type have subscripts 0, 13, 42, 506, 608, 2472, and 2623 [see J. Rec. Math, 26(4)]. When will humanity discover the next in this series? "Rumour has it that when Charles Babbage tried to verify its status as a prime number, his difference engine spun alarmingly as if possessed, dragging the unfortunate Lady Ada Lovlace to her death, crushed in the gears." Belphegor's Prime: 1000000000000066600000000000001 on a shirt. Belphegor's Prime on a mug.